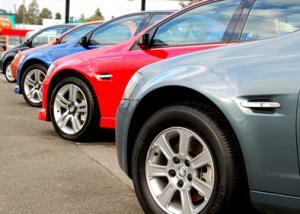 The number of car dealerships has declined across Europe as a result of the recession, new figures have revealed. According to a report by Bernstein Research, between 2007 and 2013 the number of car sellers in Europe dropped by 12 per cent. Meanwhile, the number of car sales dipped from 14 million units in 2007 down to 11.6 million in 2013. The findings indicate how closely linked the fates of motor trade businesses are to the performance of national or even international economies. To help cope with various uncertainties, including fluctuations in business, a dealership can obtain a combined motor trade insurance that will offer robust assistance for risks that might lie around the corner. The study, entitled ‘Euro Autos: the lost continent - how have dealer network been hurt by Europe's car slump sales? ', revealed that even in the UK, where there has been well-reported growth for the motor trade industry over the past two years, the number of dealerships has still declined over the past six years. The pre-recession highs of 2007 saw more than 4,800 main dealers in Britain; by 2013 this figure stood at less than 4,600. However, while the number of dealerships might have fallen, the average number of annual sales per dealership has remained consistent at around the 500 mark. The report added that used car sales and aftersales had played a key role in preventing further dealership closures.